Milena Markovna "Mila" Kunis is a Soviet Ukraine-born Los Angeles actress who has earned fame at an early age due to a variety of roles she has already portrayed. Forgetting Sarah Marshall was her breakout film in 2008, but she’s been a child prodigy, having acted in various television shows and films at a really early age. On August 14, 1983, Mila Kunis was born as Milena Markovna Kunis in Chernivtsi, Ukraine, the-then part of USSR. She was born to Elvira – a physics teacher who runs a pharmacy, and Mark – a mechanical engineer who works as a cab driver. Michael is her elder brother. The family had apparently decided to move out of USSR as they felt the future for Mila and Michael was bleak there. She was 7 when her family moved out of USSR to LA with a meager sum of $250 in hand. She was an early bloomer and her father saw an acting career in her when he enrolled her in acting classes at Beverly Hills Studios. Her first audition landed her a role of Barbie commercial. She earned more commercials in the form of Lisa Frank product line. Days of Our Lives has her earliest appearance in television in 1994. Minor roles and supporting roles in 7th Heaven, Santa with Muscles, Honey, I Shrunk the Kids, and Gia were some of her earlier highlights. She had plenty of small and big film breaks – which didn’t serve her a purpose as they couldn't make a mark. However, her turn came with the film Extract with legends Ben Affleck and Jason Bateman. Mostly positive reviews and decent collection welcomed her. Her film- The Book of Eli opened to mix reviews while performing considerably well at the box office. Date Night was a considerable move. Black Swan was the movie that made the heads rolling through her performance – where she played support to Natalie Portman’s character of Black Swan. The film earned her rave reviews and plenty of awards. 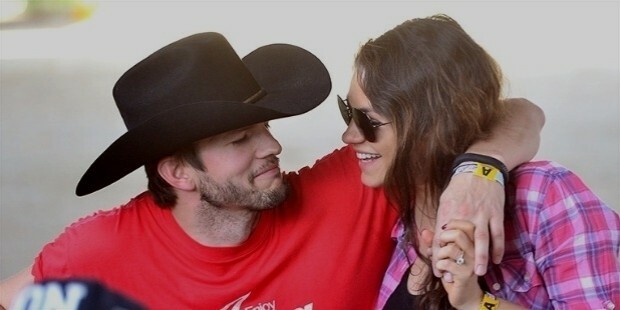 Friends with Benefits did well at the box office. Kunis began dating Macaulay Culkin, a fellow actor in 2002. She refuted the marriage allegations, though clearly stating marriage isn’t something that’s important to her. She tried her best to keep her relationship private. As of 2011, her relationship with Culkin had all but ended, and it was confirmed by Kunis’ publicist. 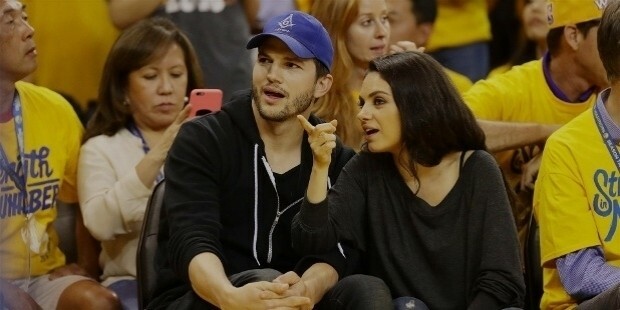 She began dating Ashton Kutcher – her co-star from That ‘70s, in April 2012. They engaged in February 2014, parented their daughter Wyatt Isabelle in October 2014, and married in July 2015 in Oak Glen, California. They are expecting a second child – and her baby boy is expected to arrive in a couple of weeks at the max as per reports. Chronic iritis caused her temporary blindness in one eye – which was treated by surgery. She also has heterochromia iridum – different color of irises, brown and green in her case. FBI had announced an investigation of her among other celebrities’ e-mail and phone account hacks. She supports the Democratic Party and is a firm supporter of Barack Obama. She’s was repulsed by the way Republicans behave with women. Spike Video Game Awards – Best Cast (shared with cast) – Family Guy Video Game. Venice Film Festival - Marcello Mastroianni Award for Best Young Actress – Black Swan. Oklahoma Film Critics Circle – Best Supporting Actress – Black Swan. Saturn Awards – Best Supporting Actress – Black Swan. Scream Awards – Best Supporting Actress – Black Swan. She has also been nominated for several awards for some of her really popular roles.